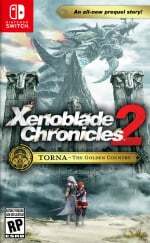 Japanese sales figures are now in for the week of 17th - 23rd September, revealing that the physical version of Xenoblade Chronicles 2: Torna - The Golden Country - the DLC expansion to Xenoblade Chronicles 2 - has narrowly missed out on a place in the top ten chart positions. Of course, seeing a piece of DLC enter the charts is a rather strange situation; DLC releases are usually digital-only affairs, and these chart figures only include physical sales. Having a boxed copy of the expansion has allowed it to stand up and be counted, however, and it managed to outsell several new, full retail releases in their opening week. Not bad at all. Spider-Man is unsurprisingly still on top, but the big news elsewhere is that Steins;Gate Elite - which has just been confirmed to be heading westward next year - managed to secure the 2nd and 4th place spots on PS4 and Switch respectively. The game sold 13,433 units on PS4, and just under that with 13,305 on Switch. Moving over to the hardware side of things, Switch is still dominating as it has done for quite a while now. Sales are ever-so-slightly down across the board this week. Here are this week's figures, with last week's in brackets. Any surprises this time around? Did you expect Xenoblade's DLC to break into the charts? Let us know with a comment below. A DLC/standalone story in the top chart... That was unexpected. Also somewhat notable, Steins;Gate Elite got the #2 spot on Switch with 13.4k units, and #20 spot on PS Vita with 3.7K units. Interesting statement about the two systems in relation to each other. Good job Spidey! Probably my number 1 game for 2018 a long with God of War! There's only a difference of 228 sales between 2nd and 5th.Tight! Oh, I am surprised about XC2 too. I figured most people who wanted it, had bought the expansion pack and got it that way. There is nothing strange about this. It is a game in its own right as well as being downloadable content. I have never played a Xenoblade game although I had though about giving it a go. At £28.99 for the physical game seems good value and it has received good reviews and could be an introduction to the other games. For those who buy physical games, dlc is generally poor value and I usually avoid it. So this physical game looks good and I bought it today. Interesting that PS4 is now more or less level with the Switch on a simultaneous release like Steins;Gate. I think the user bases are almost on a par now too in Japan. That said, who wants to play a visual novel on a TV screen? 5pb games demand to be on handhelds. Trying to battle through Xenoblade right now in preperation for 2. How does X fit into the story? I'm guessing those people who bought Torna just did do for the box as I'm guessing they all already owned the season pass, which is $10 cheaper in the US. I am almost ready for Torna! I am on Chapter 4 for all 8 characters in Octopath Traveler. I am hoping to finish the game’s main stories up by the middle to end of next week! @eltomo X doesn’t fit into this story - though, I can see where it could fit into the overall Xenoblade Universe; but it’s all purely made up connections at this point. Good deal! It's such a good expansion/prequel. I AM UNABLE TO PUT IT DOWN. @rjejr Not everybody buys all DLC on sight No season pass, bought physical, here! I got the physical three days ago. I wasn't the biggest fan of X2; still liked it tho. I gotta say, 'I'm really feeling' the prequel story and improved battle system. The hp regain and switching/swaping mechanics are fun. The music is fantastic as expected and most welcomed. Glad this series seems to have a new pulse. I would like to see the series make a departure from the human - blade thing. It still bugs me that my ally holds their hands out while the main character attacks while attached to an electric umbilical cord. I wanna drive and fly a skell sooooo badly. @rjejr I double dipped, but in sure many did not. 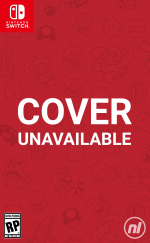 Also with the new rewards from My Nintendo you could print a cover off if you wanted. 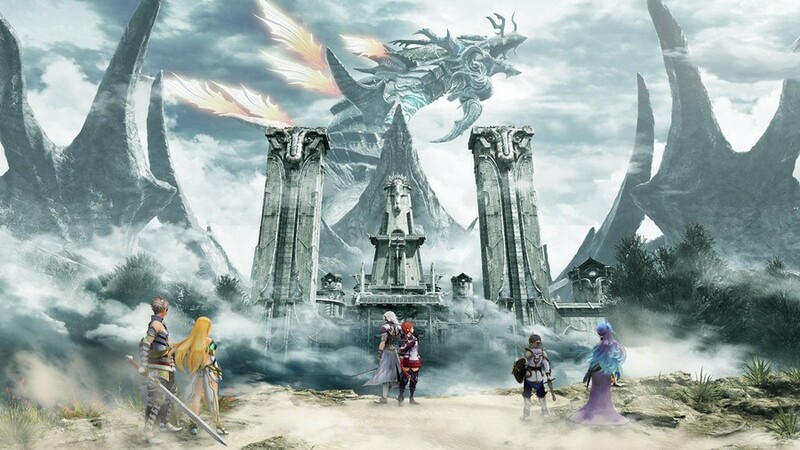 @TossedLlama In Torna each character fights for themselves. @Trajan Well, I'd still guess that even in Japan this sold more DLC as a season pass than it did the more expensive boxed version. There has been a lot of dlc in the season pass along the way. @rjejr Oh yeah I agree. This game is alone worth getting a Switch for. If I was super casual I could see this game lasting years to complete. @NEStalgia Not everybody of course, I don't believe in absolutes, but more likely bought the season pass than the disc. @rjejr I don't know, the Nintendo base is pretty into collectible physical copies. Early adopters did because they didn't know about the physical version, though, so there's that which probably weighs it in favor of digital way more than if physical had been known from the start. @NEStalgia Well yeah, had they known about he cart from the start, but it was like 6 months after the season pass went on sale. Like it was some indie - "We didn't know" - scenario. I'm sure Nitnedo just woke up one morning 6 months after release and decided, "ya know what, lets put the season pass on cart for $10 more than the season pass". Actually, knowing Nintendo logic, it really may have happened that way. So that sales number is pretty bogus if you ask me.